Email List Cleaner is a software tool that allows users to import their email lists then each email address will be filtered through up to 10 different rules to determine if its a real valid email address that is worth sending emails to. Powerful desktop software helps you clean your list on your desktop computer itself. You won’t have to pay a hefty fees to get your list cleaned, and you won’t have to pay a recurring. Use it for as long as you want, and as often as you want. 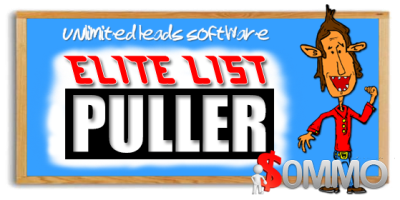 List Janitor also has ultra-powerful list management and segmentation features that will help you create sub-lists targeting specific user groups. You can’t get this even from expensive list-cleaning services. Like all our products, List Janitor is field-tested, proven and well-maintained. Multi Language Support : List Janitor’s interface is available in English, Spanish, German & Portuguese. Install MailWasher today to screen all your email accounts in one place and allow only the email you want in your inbox. MailWasher lets you preview all your email before it gets to your computer or mobile device, enabling you to read all your email securely, and instantly delete any unwanted or suspicious email. Your remaining good email is downloaded to your PC or mobile device, so you avoid any spam or email viruses in your PC. Automatic Email Processor is the complete solution for Outlook to store and print incoming emails and their attachments automatically. For this, various filters, flexible configuration options, such as individually definable storage folders and the possibility of subsequent processing are available. For example, the path of the location where you want Automatic Email Processor to save certain emails or email attachments, can be assembled dynamically from individual properties of an email. For storing email messages, inter alia, the output format can be specified (for example, PDF, RTF, or HTML). The program supports the creation of an unlimited number of profiles to allow separate settings for different email accounts. Profiles can be additionally applied to emails of a specific time period or to any previously received emails of an Outlook folder. 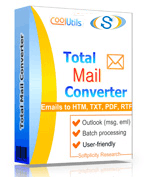 Convert Emails (MSG, EML) to PDF, TXT, DOC, PST in batch via user interface or command line. If you find yourself with a large list of email addresses and need to split them into smaller more managable files, NCRlistSplitter will do the job! Have a list of email addresses but it's too big to manually clean? 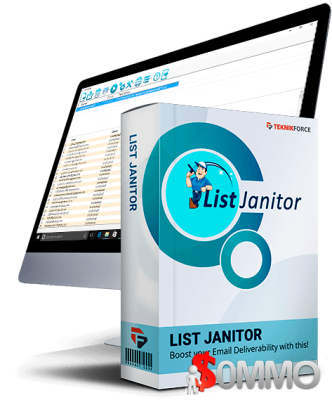 This email list cleaner will remove all duplicates and all mal-formed email addresses leaving you with a cleaned list ready to go! You want to quickly and easily manage your contacts? Your contact base will be created in minutes! However, for a more punctilious management, each contact has a thirty fields with ten fully customizable. The contact cards also feature a "notepad" and a maximum of 10 attachments (accounting documents, text files, images ...). Prospective 2011 frees your mind by recording all important information of all your contacts. Agenda, emailing, project management, Annalyse ... All the tools to develop your sales!